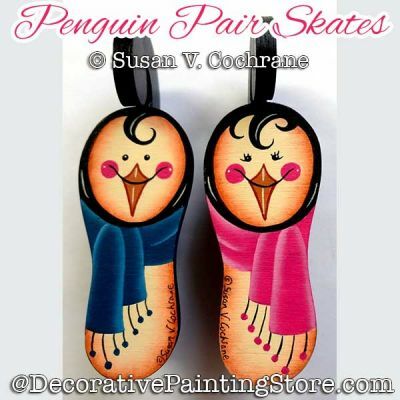 Penguins painted on skate ornaments. or your choice of surface. Surface available from Viking Woodcraft.